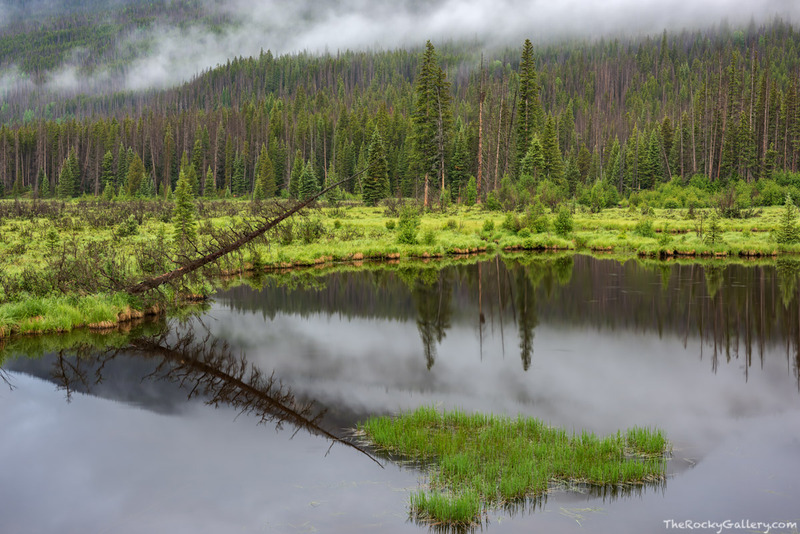 A rainy and foggy July morning in the Kawuneeche Valley of Rocky Mountain National Park's west side. The grasses are vibrant green and fog clings to the hillside of the Kawuneeche on this moody day. Photo © copyright by Thomas Mangan.